Comments Off on BuildR 2 Released! BuildR 2 has been released onto the Unity Asset Store. This is an entirely new version built from the ground up to address the feedback I’ve received over the last 4 years of running the BuildR asset. Interior floorplan generation and curved facades have been highly requested over the years and only a complete rethink could make these possible. Over the coming months I’ll be releasing updates that will support custom geometry, procedural generation and integration with other Asset Store assets. Get it on the Asset Store here! I’ve released a new demo for BuildR that allows you walk around some of the creations made with that very tool. 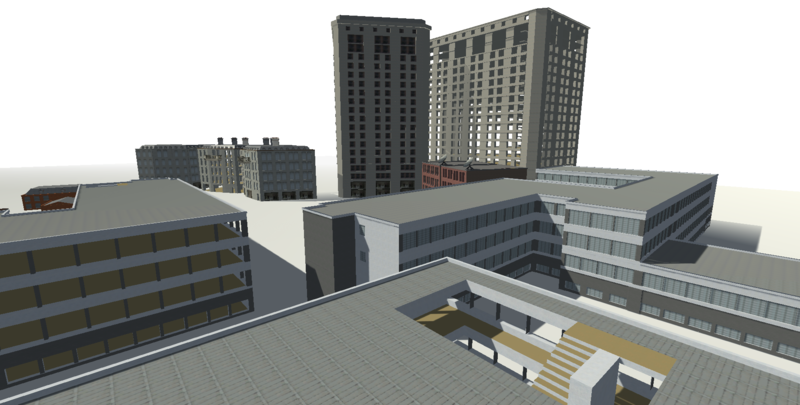 These are all included in the asset though this one does show off the interior generation, stairwells (how else are you getting to the roof?!) and low detail version model generation available. DocuMaker is a free asset that will help you create simple HTML documentation from your C# classes. I created it recently to assist me in generating said documentation for my other assets on the Asset Store and decided that it would be a nice simple asset to release to the store for free. Get it on the Unity Asset Store here.